Queens real estate market June 2017, by George Herrera, Realtor and Co-Owner of the Queens Home Team at Keller Williams Realty. 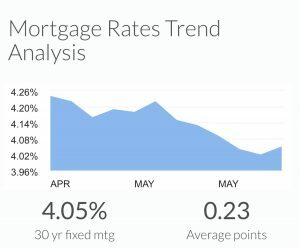 6/28/17 – Mortgage rates mostly increased this week. The benchmark 30-year fixed-rate mortgage increased 3 basis points to 4.05 percent. The 15-year fixed-rate mortgage increased 2 basis points to 3.27 percent. The Long Island Board of REALTORS® reported 656 home sales during the month of May. This was an increase of 10.3% percent from April, but a decrease of .5% percent from May of last year. Specifically, Residential 1-3 family Queens home sales were UP about 4.1%, Queens Condo sales were DOWN 20.6%, and Queens Coop sales were DOWN 2.2% compared to this time last year. Over the last 12 months, Queens home sales are DOWN 2.4%. 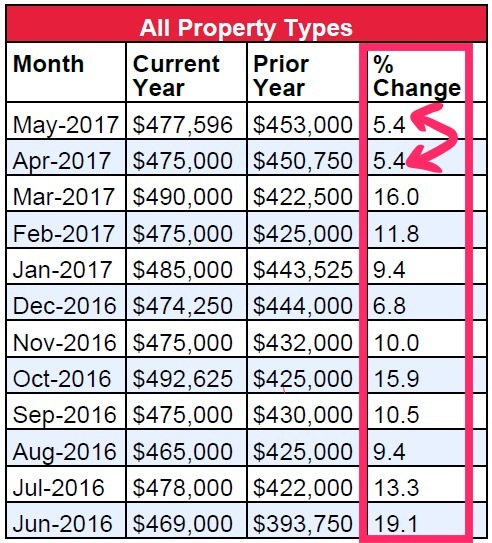 The Long Island Board of REALTORS® reported a median Queens home price of $477,596 in May, this was UP .5% from April and UP 5.4% from May of last year. 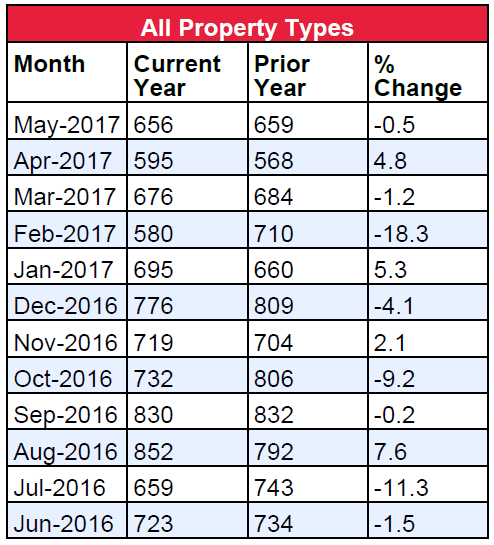 May’s median home price marked the second month in a row of less than 6% year over year increase. If you look at the graph below, you’ll notice a downward trend in price growth over the last few months. Good news is that it is still up, just not as siginificant as last year. Specifically, Residential 1-3 family Queens home prices were DOWN .8%, Queens Condo prices were UP 5.3%, and Queens Coop prices were UP 9.2% compared to this time last year. Over the last 12 months, Queens home prices are UP 10.5%. There is currently a 5.8-month supply of housing inventory in Queens, this is up from the 5.4 month supply that we had last month and pretty much the same as the 5.9 month supply we had in June of last year. Month’s Supply is the figure that measures supply and demand in real estate. Month’s supply over 6 months is said to be a buyer’s market, month’s supply below 6 month’s is said to be a seller’s market, and month’s supply of 6 months is said to be a balanced market. Based on the Month’s supply this month compared to the same month last year, it seems that we are in the same exact market as one year ago. As for available inventory, the total number of homes for sale increased by 7.6% compared to last month, and more importantly, inventory has been slowly growing every month this year. June actually saw the biggest month over month increase in homes for sale, although that is typical for this time of year. One thing that I noticed is that available inventory has not been over 4,000 since November, 2015. We are at 3,856 right now so if inventory continues to grow, we may soon hit the 4,000 homes for sale mark which will signify a shifting market. The deepest seller’s market we have experienced since 2012 was in January of this year when month’s supply hit 4.3 months. Since then however, month’s supply has been increasing every month and we are now at 5.8 months. If this trend continues, we will eventually enter a market where the buyer’s have an advantage over sellers.